Test your ATMs. Secure transactions for your customers. Globally, more than 3 million automated teller machines (ATMs) enable consumers to easily perform transactions with their bank accounts. By inserting a card or tapping on a smartphone, they can withdraw cash, deposit checks, and look up account balances. However, consumers aren’t the only ones interacting with these machines. Criminals are also actively looking for potential ATM vulnerabilities to exploit for profit. X-Force® Red’s global team of veteran hackers can help find and fix physical hardware and software vulnerabilities within your bank’s ATMs and connected infrastructure. X-Force Red's hackers are seasoned penetration testers with decades of experience breaking into ATMs and other technologies to help you always stay ahead of the criminals. Our team doesn’t stop once they have hacked your machine. After we identify your ATM's vulnerabilities, we then work with you on a remediation plan, so that your customers' sensitive financial data remains protected. X-Force Red tests all components of an ATM’s hardware including casings, locks, tamper systems and more. X-Force Red tests applications running on ATMs, connected networks and other background infrastructure. With IBM Technical Support Services and the X-Force Red penetration testing services, you can receive a robust package of ATM testing, maintenance and proactive support services. 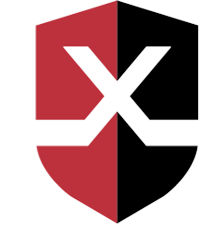 X-Force Red’s ATM testers evaluate the physical, network, application and computer system security, searching for vulnerabilities that a criminal hacker may exploit. Because of its specific ATM testing practice, X-Force Red has a global view of common ATM threats, vulnerabilities and exploits. X-Force Red offers flat-rate pricing for its subscription testing services. Discover and fix vulnerabilities within your ATMs’ hardware, software and connected infrastructure. Discover if your ATM and connected infrastructure are compliant with industry mandates, such as the PCI DSS. IBM X-Force Red penetration testing helps determine how a criminal ring was stealing cash from ATMs. X-Force Red’s ATM testing team has yet to perform a test that does not uncover at least one critical vulnerability. Learn more about common ATM fraud schemes and how you can avoid becoming a victim.